Be warned, my fellow crocheters, for here be dragons! I had so much fun making the Kraken Shawl that I knew I had to make another filet crochet triangle shawl, and after a lot of careful thought, I decided to make a dragon shawl…and it turned out to be absolutely spectacular. The Dragon Shawl is absolutely gorgeous, soft and oh-so-cozy, and the yarn I used looks like fiery dragons breath, don’t you think? To make this shawl, I’ve used Malabrigo Rios yarn in a color called Pocion. I love the dark tones of this yarn mixed with a bit of red, orange, and even the slightest hint of lime green. It just screams dragon fire to me! It’s also a very soft wool, which makes it almost as cozy as curling up with your own baby dragon. If you really want your dragon to stand out against the mesh background of the shawl, I might recommend that you use a non-variegated yarn as the different color variegation (while lovely) can make it a little more difficult to see the image of the dragon. Like the Kraken Shawl, the stitch used for the main part of the shawl is filet crochet. It may look intimidating, but it’s incredibly easy to learn! In this pattern, I’ve included all kinds of notes, charts/diagrams, and even a link to a video tutorial on the filet crochet technique. If you can do a chain stitch and a double crochet stitch, then you can make this shawl! At this time, the Dragon Shawl pattern will not be released as a free pattern on this website. However, it is available for purchase from my Etsy shop. Each pattern purchase you make helps keep Two Hearts Crochet stay up and active on the web. If you choose to purchase this pattern, please know that your support means so much to me! I know you’re going to love this Dragon Shawl pattern. So thank you for your purchase! And of course, please contact me if you have any questions. Click here to purchase the Dragon Shawl pattern. And here’s something about as shiny as dragon’s gold: you can now add this pattern to your Ravelry queue and save it for later! Click here to add it to your queue. 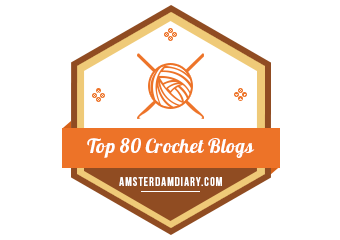 Alternatively, you can add it to your Ravelry favorites or library, whichever you prefer. Wow, Alex! This is absolutely gorgeous! I would love to make this in an afghan. Any ideas on how to do that? I’ve never done filet before. The chart made it so easy and it turned out even better than I had hoped. I really enjoyed making this for my daughter. I am anxious to see her reaction when she opens it on Christmas day. I’m sure she is going to love it!